The Spring Event is going on at Tory Burch USA. Get up to 30% off your purchase with the promo code below through 27 Apr, 2015. Get 20% off with US$250 spend, 25% off with US$500 spend, and 30% off with US$750 spend. Exclusion may apply. 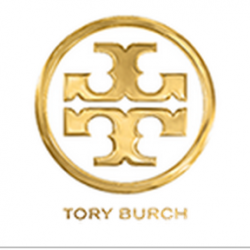 Tory Burch offers Up to 70% off Sale Handbags, Shoes and Wallets! vpost needed for shipping to Singapore. Tory Burch offers Up to 50% Off+ Extra 20% off Sale Handbags, Shoes and Wallets with code "TAKE20" vpost needed for shipping to Singapore. Tory Burch USA Official Website offers up to 40% OFF Accessories Sale, including Wallets, Mini Bags, Jewelry and More! Starts from as low as US$38.5! vPost needed for shipping to Singapore.